Since deciding to start a library of living books, I've come to see myself as a book rescuer. I am continually amazed at the treasures I find at thrift stores and library sales. I just don't understand why people get rid of such lovely books. Have they not read them? I've recently found two brand-new looking copies of James Herriot's Treasury for Children. Do people not even open them? Surely if they'd read the stories to their children, they would realize they should keep it forever and pass it on to their grandchildren. Have you read All Creatures Great and Small? If not, you should. I have several copies of all of James Herriot's books because I just can't leave them behind. Those books are just the tip of the iceberg. This week I discovered a Little Free Library on the way to my daughter's ballet class. My children assured me that it's been there for quite a while, but apparently we're always running late enough that I wasn't able to notice it before. Anyway, Isaac and I took a walk around the block when we dropped Emma off one day, and stopped to take a peek at the books inside this little treasure box. I found it delightful to find another book saver and sharer so close to home. I found two things of interest: Legends of the Outer Banks and Tar Heel Tidewater by Charles H. Whedbee, and Worldy Goods by Lisa Jardine. Since we live in North Carolina, I thought the former would be interesting to read with my children. I chose the latter because we'll be studying the Renaissance next school year, and I thought it sounded interesting. The cover promises "a radical interpretation of the Renaissance." I have no idea what that means, but I am going to find out! After we walked around the block, looked at all the little flowers blooming and borrowed books, we headed over to the "real" library to pay some fines (oops) and check out the little sale shelf they have. I don't usually find much there, but this time I did! 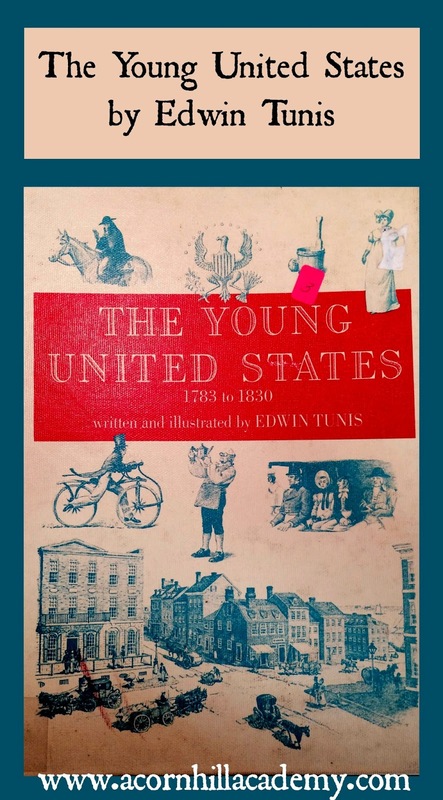 The most exciting one, for sure, was The Young United States by Edward Tunis. Edwin Tunis was an artist, a radio announcer, an engineer... he did lots of things. The little bits of biographical information said he'd tried to be a commercial artist, but lacked a certain "snappy" style, so he became a freelancer. 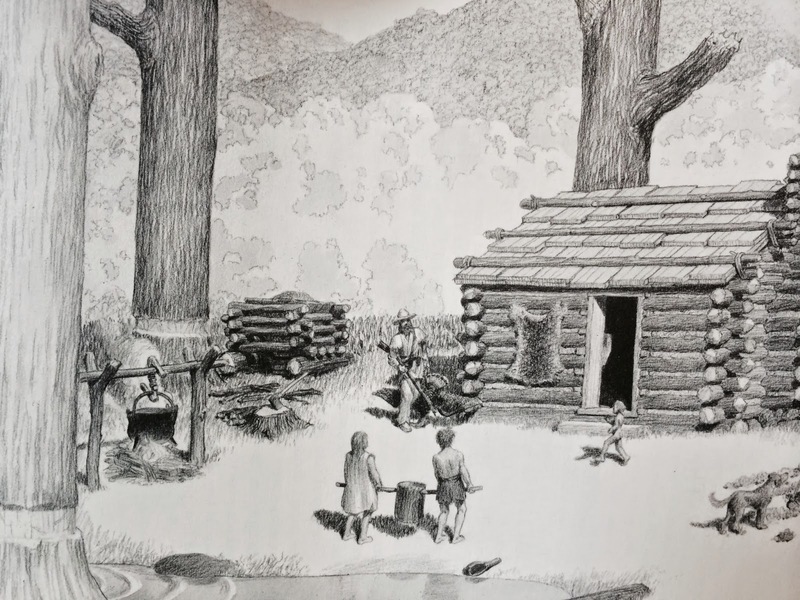 He wrote his first book when he discovered, while researching a mural on the history of spices, that "there was no one book which recounted the whole basic story of the development of ships in a simple way that might interest young people." 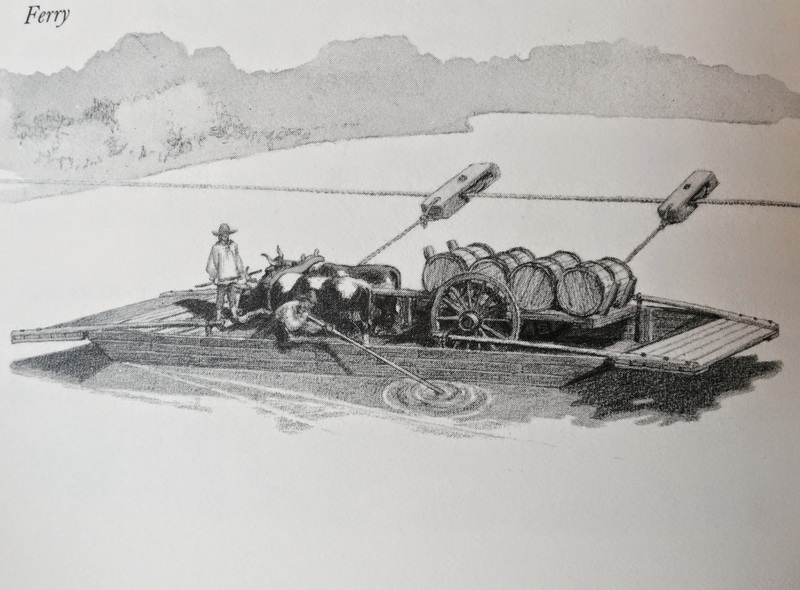 So, he wrote and illustrated one, and Oars, Sails and Steam was born. I don't often find wonderful things on those little shelves at the library, but when I find gems like this one, it makes it worth the times there is naught but twaddle. 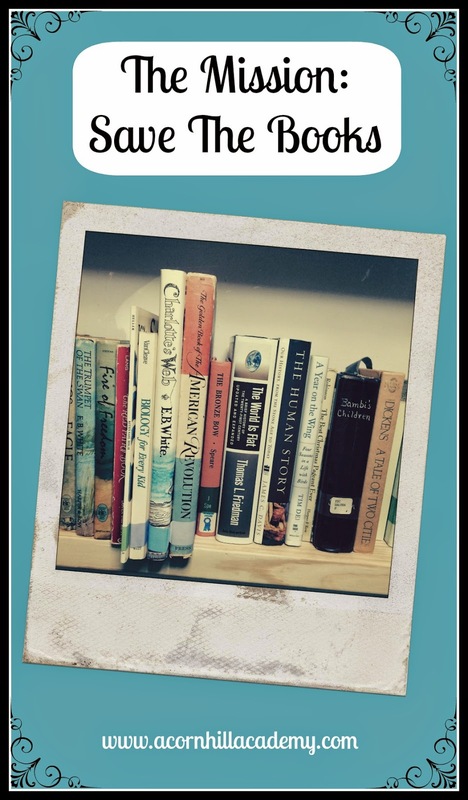 Have you found book treasures in unexpected places?